means "Cognitive And PsychophysIological Test Operations" and is an attention test used in bio- and neurofeedback, brain performance training and in coaching. 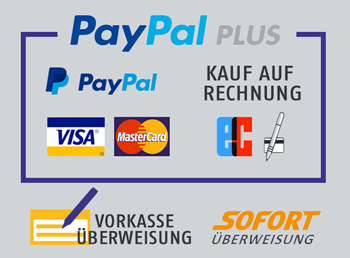 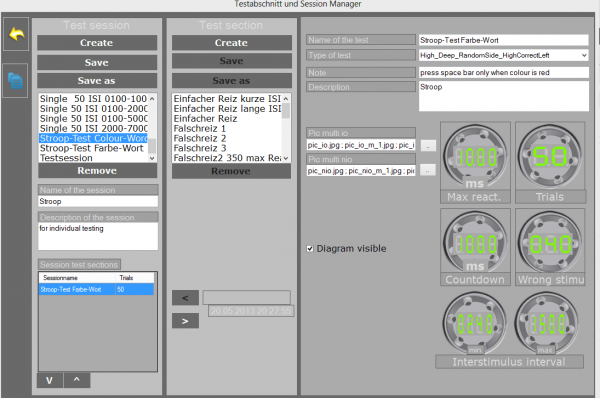 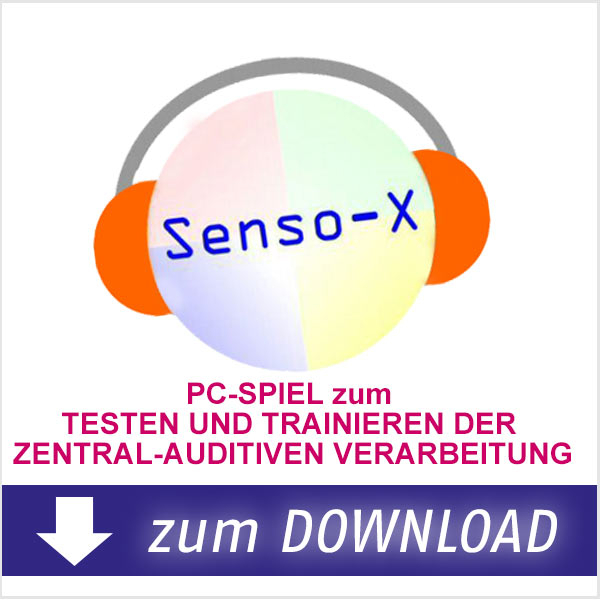 is used to measure impulse control, reaction speed and sustained attention- the software is available in German and English. 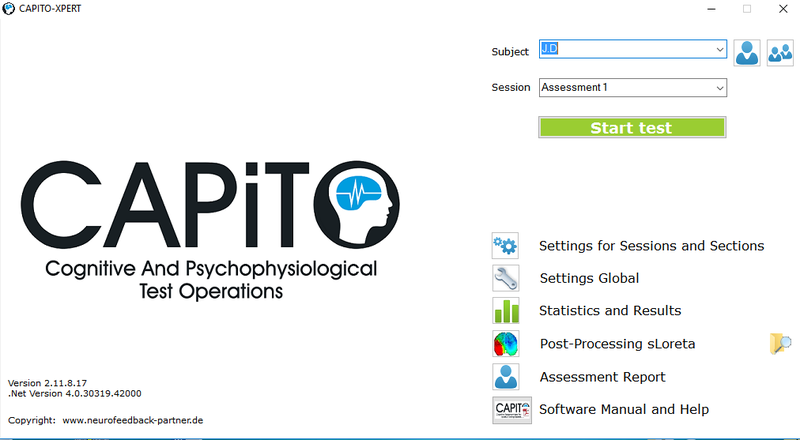 is a CPT (Continous performance test) that measures the most important variables of attention, in particular, it displays the progression of these variables over several sessions in a graphically compelling way. 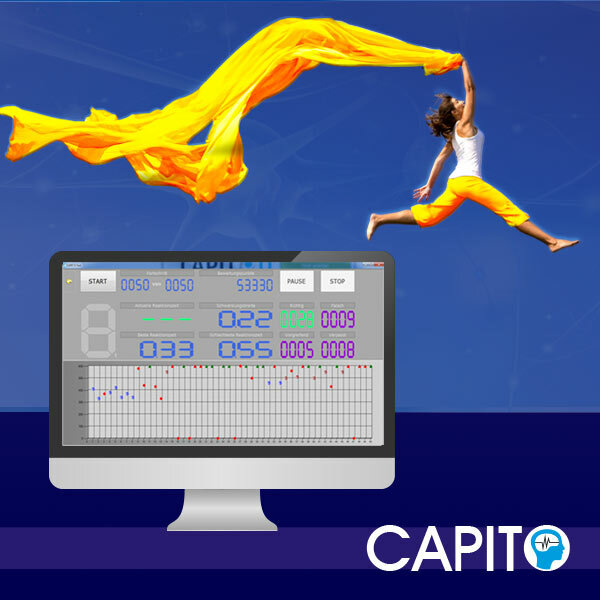 With CAPITO you increase the quality of your work, by being able to support the effectiveness of your treatment with objectively measured variables. 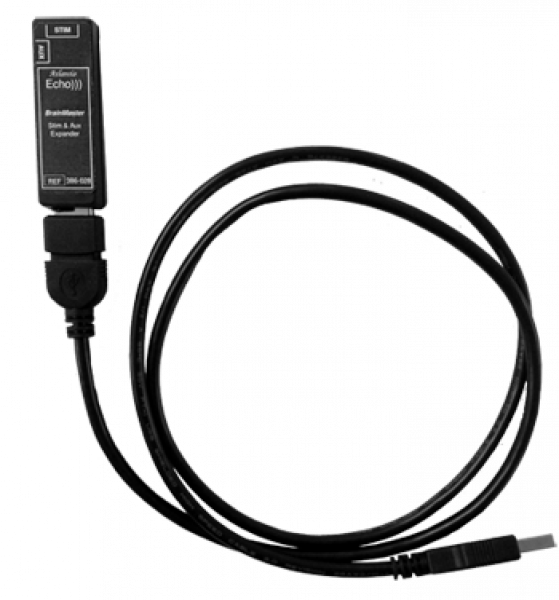 The software can be installed directly to your Windows system, no additional control unit is necessary.